Donna Hay says that of all the desserts she makes this is the one that’s most requested by her friends, and I think if you were one of Donna’s friends there would be quite an array to choose from so that’s high praise indeed. Looking at the final product, and tasting it, one would think that a lot of time, effort and baking finesse would be required but it truly is a one-bowl cake and couldn’t be simpler to make. The only word of caution is in the baking time. The original recipe states 40 minutes at 170C. A lot of comments have been made that the cake didn’t cook in that period and many people were keeping it in the oven for much longer. 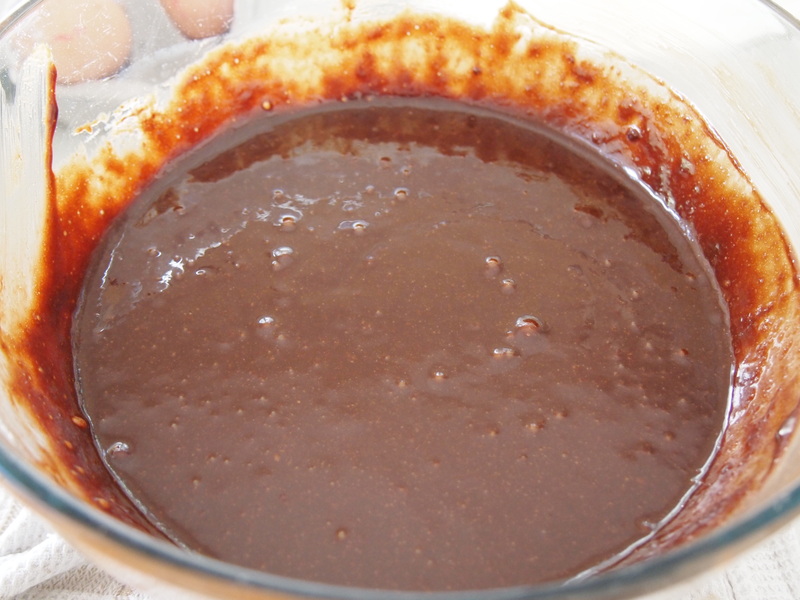 The cake after 40 – 45 minutes will still be quite wobbly in the centre but have faith and take it out of the oven. Let it cool and then put it in the fridge to set (and it will set – it has 5 eggs in it!) for a good 4 hours but I find overnight is best. 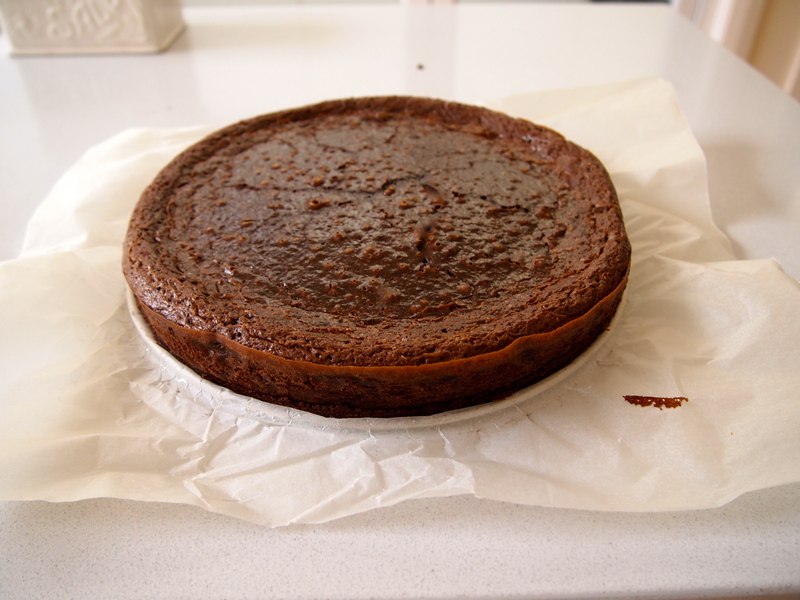 This is a dense cake with a fudge like consistency which is achieved by covering the cake with foil whilst it cooks. I once made the mistake of not covering it, and the cake whilst still delicious didn’t have that lovely, soft, mousse-like consistency. 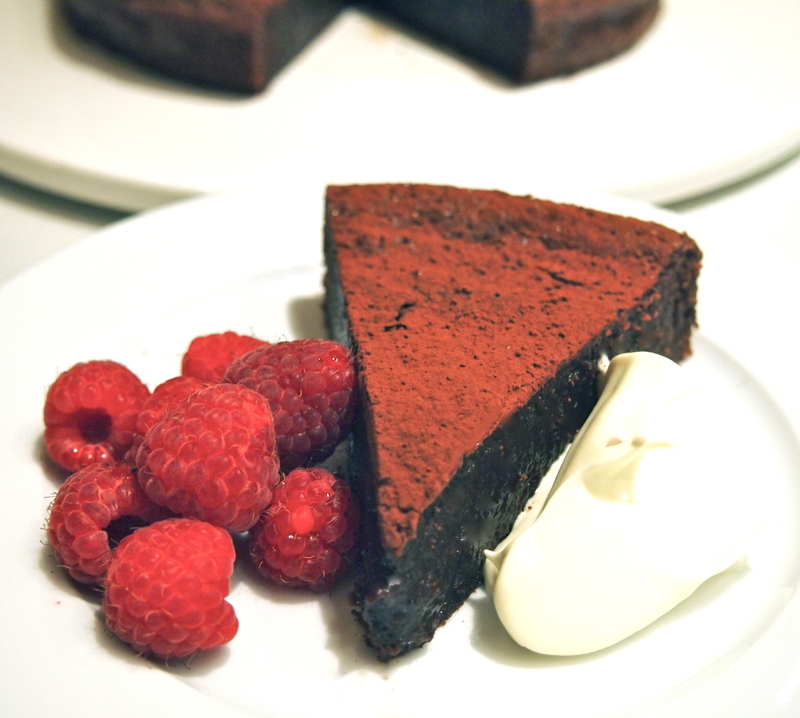 This cake is so good that I’ve actually made it 3 times in as many weeks – you get a lot of wow factor for very little effort so it’s hard not to turn to this recipe when you want to impress. Preheat oven to 170C (not fan-forced). 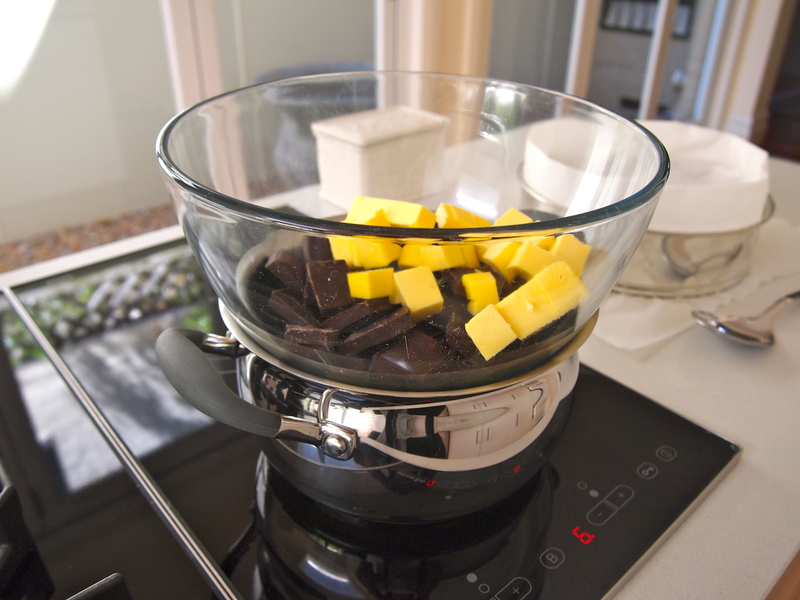 Place the butter and chocolate in a heatproof bowl over a saucepan of simmering water until melted then stir to combine well. 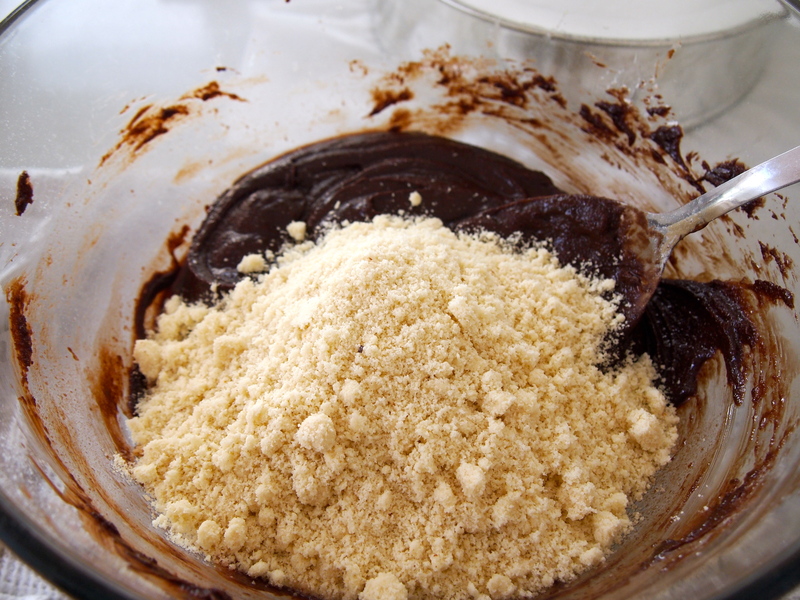 Take it off the heat and add the sugar, flour, milk and almond meal and mix to combine. Add the eggs and mix well. 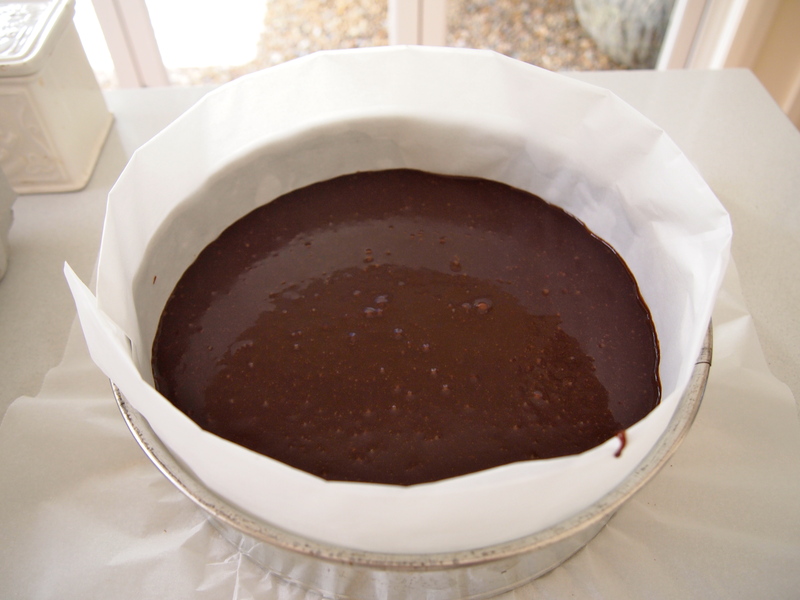 Pour mixture into a greased 22cm round springform tin lined on the bottom and sides with non-stick baking paper (don’t miss this step otherwise the cake will be hard to remove). Cover the tin with aluminium foil and bake for 40 minutes. The cake will still be wobbly in the centre but it will set as it cools. Uncover and cool in the tin then place in the fridge to set for at least four hours but overnight is best. 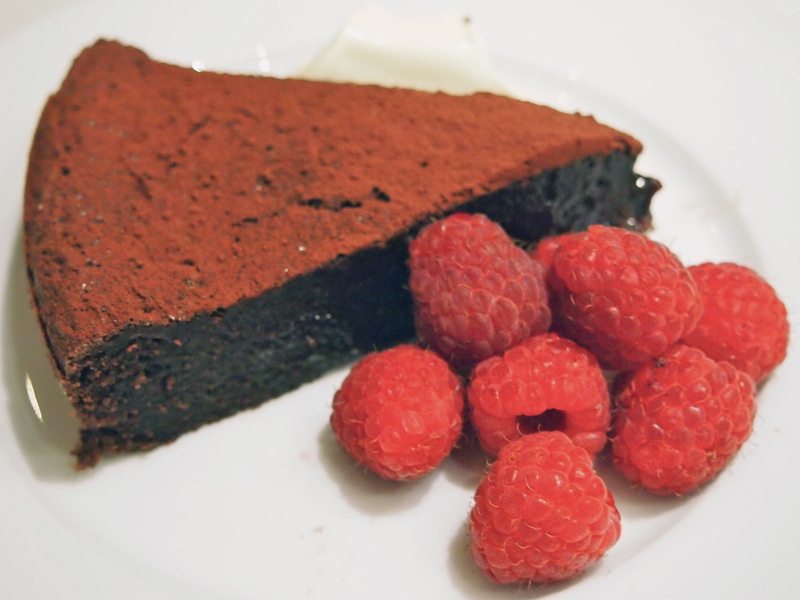 Dust with cocoa and serve with cream and berries. Yum – going to definitely try this one. Easy peasy as well – got to love that. A perfect treat for Peter when he gets home – forget catering for guests! Hi Everyone, thanks for the comments and Lyndel so glad that the cake was a hit at the birthday celebrations. 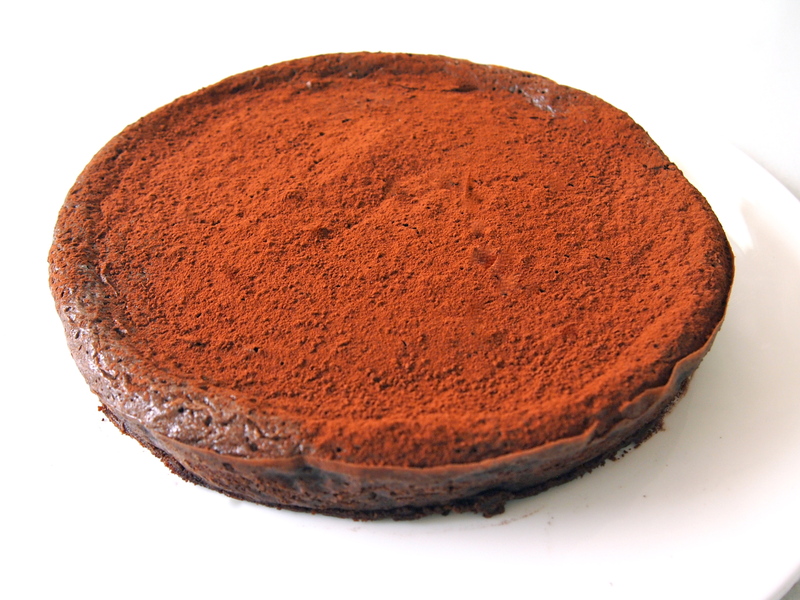 Great to also know that this cakes works using gluten free substitutes. I think I’ve died and gone to heaven finding this site! I love desserts and there are so many here I can’t wait to try.